Vaping has now become a sport. Across the United States, vapers are meeting up and competing to see who can blow the biggest, densest, fanciest, most badass vapor cloud. These unique and entertaining vapor clouds are created when competitors (often called “cloud chasers”) modify their e-cigarettes via the different gauges and various heating coils, and experiment with the wattage that is run through said coils. As with all sports, media – especially social media – has been quick to pounce on this new trend, with YouTube being the primary media outlet capturing these vape competitions. Vape supply stores use these competitions to bring people within the vaping community together (and also into their stores). Often times the best cloud chasers end up being sponsored by vape companies in exchange for promoting their products and wearing branded gear in these online videos. One of the most notable events at these vape competitions is focused on who can blow the biggest vape cloud. 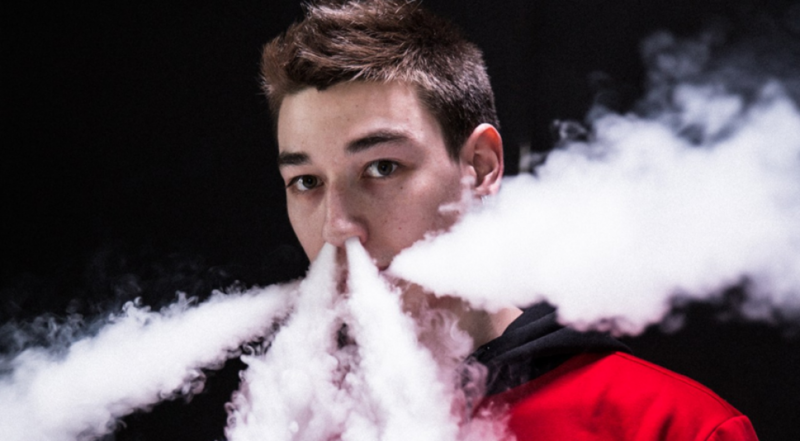 In addition to who can blow the largest vape cloud, many of these vape competitions and “meet ups” showcase the best of the best cloud chasers and focus on who can do the coolest “vape trick.” It’s not just smoke rings anymore. A simple search of “vape tricks” in YouTube reveals video after video of cloud chasers and vape amateurs creating everything from jellyfish, tornados, bubbles, to massive clouds that completely conceal the cloud chaser’s face. While some of these trick videos are synced up to music and are focused on showcasing various tricks, others are more on the instructional side and are aimed at teaching vapers how to do some of the most popular tricks. It is important to note that, most of these tricks cannot be done with your basic e-cigarette that one can find at any gas station. In order to perform these special and spectacular vape tricks, a “premium vapor product” (PVP) is required, which will likely require customization and modifications to perform the most complicated and sophisticated tricks – like a custom racket for a pro tennis player. Because you are dealing with electricity (and something that will be in close proximity to your face), there are numerous safety concerns when it comes to making these modifications. Luckily for those who are interested in getting into the world of competitive vaping, there are a plethora of videos instructing users how to safely modify their PVPs and give recommendations on what materials to buy. These instructional type videos are becoming more and more popular due to the fact that, as vaporizer use continues to grow, so do accidents involving improperly modified e-cigarette devices. Video after video can be watched of vaporizers exploding in people’s hands, burning them, and in some cases, even igniting the bag (or pocket) they were stored in! The growing popularity of vaping videos coincides with the growing popularity of vaping in general. 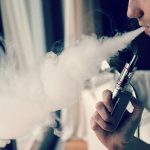 The CDC reports that electronic cigarettes are now the most commonly used form of tobacco by youth in the United States, and one can surmise that if the trend continues, we are going to continue seeing a vast variety of vaping videos throughout all corners of the internet. This growth in popularity is also beginning to create its share of celebrities within the tight knit vaping community. One of these celebrities is Austin Lawrence, who GQ calls “the Vape God.” Lawrence has over 400 thousand followers on Instagram, and also has a very significant presence on YouTube. His internet fame has even attracted the attention of celebrities, most notably hip-hop artist Drake, who went so far as to fly Lawrence, the Vape God himself, his Los Angeles mansion to hang out and teach him how to do various vape tricks. When Lawrence first started vaping in 2014, vape videos were not nearly as widespread as they are now, and tutorials on topics such as “blowing O’s” or doing “the dragon” (pictured below) were virtually nonexistent. Times have changed now, and a search within YouTube using the phrase “vaping video” yields about 247,000 results. As with anything that is new and trendy, there will always be the haters. A search using the term “vape video parody” brings up about 50,000 videos that are making fun of the vape lifestyle as well as the types of videos vapers post. As vaping videos and culture continue to spread, you can bet these parody videos are going to spread along with them. While these types of videos may be designed to hurt or insult the vaping industry, the vast majority of these YouTube videos are helping to make vaping even more popular, especially in the younger generations. Suchitra Krishnan-Sarin, a psychiatry professor at the Yale School of Medicine polled 5,400 teens and asked them what the allure of vaping was; the top two answers were the ability to do tricks and show off for friends, and the vast variety of vape flavors. Who would have guessed that videos of people exhaling vapor would become so popular in recent years? These phenomenal tricks are possible only via vaping because, unlike the smoke inhaled from other smoking products (i.e. cigarettes, cigars and hookahs), the special vapor produced by these e-cigarettes is not as hot as smoke produced by the aforementioned other smoking products, thus enabling users to take larger hits via vaping prior to exhaling. In addition, the density of the vapor also plays a large role in the ability to do tricks. This density – unique to vaping products – makes it easier for the vaper to manipulate the exhaled vaper, create smoke rings and other shapes, simply from strategically puffing the air/ vapor from their mouth. Vapors can further their vape tricks by manipulating these vape shapes with changes in air from various hand gestures and movements. As the popularity of these videos continues to grow and the number of competitive vapers goes up, it is hard to not get excited about what the future of vape videos will bring us.